This year's Corporate Forum at Hilton Syon Park from 25-26 January will include speakers from Hyundai, Adobe and Cision. 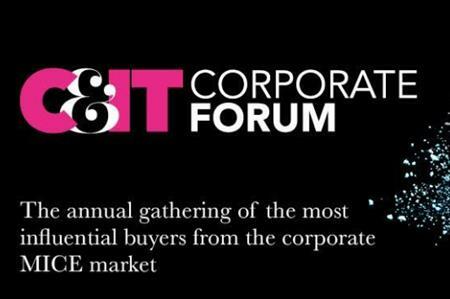 The agenda for C&IT’s 2018 Corporate Forum, taking place at Hilton Syon park from 25 - 26 January, has been announced with sessions from brands including Hyundai, Adobe and Cision. To finish off the day, C&IT’s Grand Prix Winner, Adobe, will showcase the event which picked up the winning accolade this year. A drinks reception, gala dinner and entertainment will follow in the evening. Day two will see Victoria Morrison, head of field marketing and events for Cision and Sola Williams, head of events & sponsorships, investment services EMEA at BNY Mellon present on educating senior directors on the value and importance of events or why the budgets are the way they are. The event will close with a panel discussion on ‘The Future Of Conferences And Incentive Travel’ in an open conversation with panelists and delegates on topics and conversations raised during the event. As with every year, there will also be plenty of time for pre-arranged one-to-one meetings and event huddles which will discuss the hot topics and trends in the events industry. There are only ten places remaining, so register your interest now.